Hybrid excavator control strategy based on rules optimizes the specific fuel consumption only to determine engine operating point in the perspective of qualitative analysis, it is not sufficient to reduce the excavator fuel consumption because of ignoring the affect of engine power output. 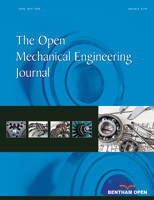 In this paper, an instantaneous minimum fuel consumption control strategy for hybrid power-train is proposed, strategy determines the ideal operating point taking both the main influence factors of fuel consumption into consideration, the ultra-capacitor energy variation which is caused by the motor power output is converted to the equivalent fuel consumption and included in the current power-train fuel consumption. The output torque combination of the engine and motor which minimize the current fuel consumption is adopted. The bench test results validate that the engine is 12% fuel saving on average after optimizing, and at the same time the ultra-capacitor energy is effectively maintained.